If you have seen or if you’re thinking about seeing Spider-Man: Into The Spider-Verse on digital download, DVD, or Blu-Ray, this is the book for you. Within these pages can only be called an enhancement to the entire Spider- Verse experience. These pages hold some valuable enlightenment into the creation experience and in house secrets about the film as well. The book also includes interviews with directors Bob Persichetti, Peter Ramsey and Rodney Rothman. These three share their insights into the delightful process of bringing Miles Morales to life and making his world relatable. 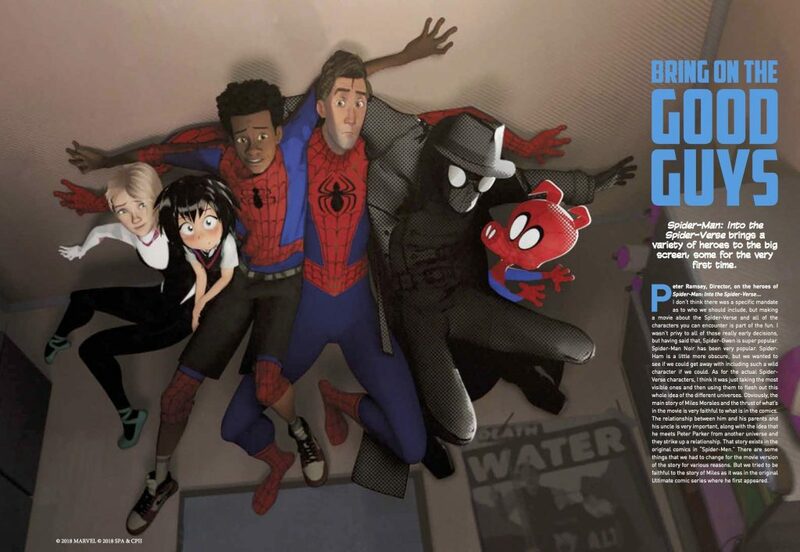 There is a wonderful understanding of the other featured Spider-Verse characters within this world as well, not to mention the wonderful artwork included in the book. I have to admit for someone that has not had the pleasure of watching the movie, it’s now a must do on my list. Readers will be delighted to see how the process of selection for each actor progressed, with some highlights of some of the director’s opinions and feelings about the casting process. The development of some of the films notorious villains are also enough to captivate readers. If you are a fan of the Spider-Verse comics you will definitely want this little treasure among your collection, as it contains a variety of nuggets about the Spider-Verse universe. There is a bit more I would love to say but that would lead to too many spoilers. This is a book you must experience to completely appreciate it. Now I’m off to see Spiderman: Into the Spider-Verse. Happy Reading! Judith Joachim-Swanson is an aspiring writer. She is an independent, freelance blogger, and you can find her other work here. She is also a self-published indie writer of Cigarette (The Catcher Series Book 1) which incorporate a steampunk Sci-fi theme.